All my videos from this dates Nerf session. I used the Pyragon, Hail-Fire, and of course my trusty Rayven! If you haven’t gotten a Pyragon yet, I highly recommend you do so. Check my review on it if you have any questions. While waiting at my church for a friend to arrive, my friends and I decided to have a 3 man free for all Vortex Pyragon game. We only managed to get in one game, but heres the video from it! 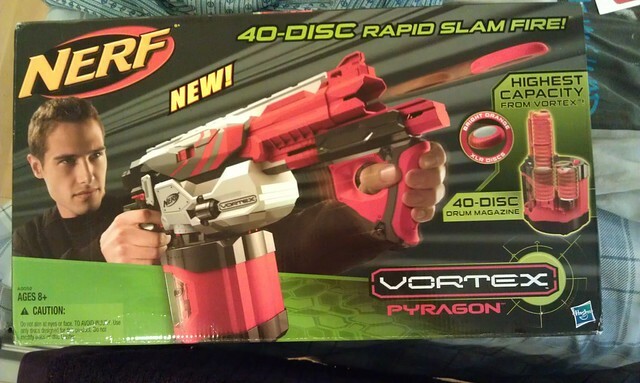 I still haven’t reviewed the Vortex series or any of it’s blasters, so I figured why not start out with the latest Vortex blaster, the Pyragon? I’ve had a good amount of use with all the Vortex blasters actually, but haven’t had the time to write up review on any of them, so be on the lookout for reviews on those in the future. I’ll be reviewing it’s features, usages in Nerf Wars & HvZ, and even give some user tips. How does the Pyragon compare to the N-Strike Raider CS-35, and what does the Vortex line have to do with the N-Strike Line of 2009? 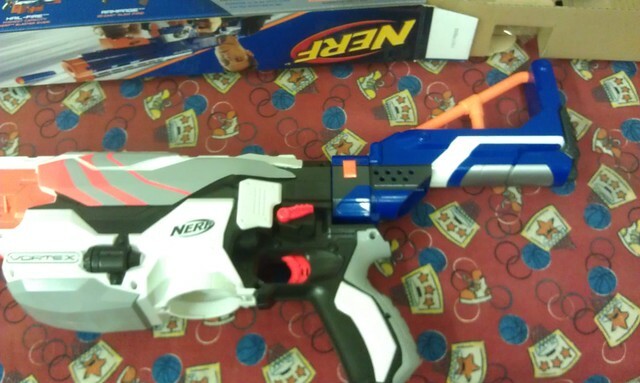 Keep reading to find out, and thanks to Nerf for sending me this! Just a quick Nerf war video with my cousins, and I’m using the Pyragon to test it out in battle conditions. 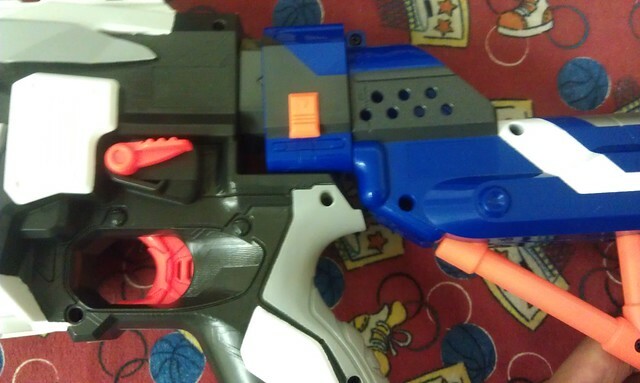 As you can see from the above picture, the Retaliator stock is too short and will not fit on the Vortex Pyragon. It does fit on upside down, but it won’t lock in. The video was put up as a troll tactic, but it just goes to show you how fast you can empty a Pyragon drum without jamming it up.